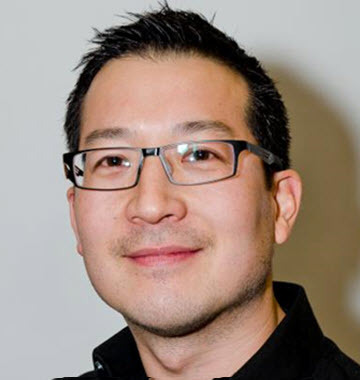 Paul Teshima is the co founder and CEO at Nudge AI, which is an artificially intelligent sales tool that provides users with genuine or authentic reasons to engage with their prospects and customers online. He holds a Bachelors of Science degree in Engineering Physics with Queens University and a Masters Degree in Mechanical Engineering with the University of British Columbia. Paul was also a founding executive at Eloqua and is a modern sales evangelist. [01.12] Paul defines Artificial Intelligence – Paul starts off by explaining that people often confuse AI with robots that can talk, but really it is a spectrum of things, at the heart of it. It is using computers and algorithms to do things that humans can do, for example visual perception, speech recognition and decision making and more. [02.34] What advice would you give to an organization considering using AI in their sales process – Paul advises don’t assume that you need AI, focus on the problems you have and how you want to solve them, then see if AI can help based on your solutions. Paul also advises to focus more on smaller repetitive tasks e.g. researching prospects or data augmentation rather than tackling the hardest problem. [03.27] Which AI Platforms are you currently using or considering – Paul shares that he uses Google in everything they do as it is one of the biggest AI platforms out there, also Nudge, a huge aspect for what they do for selling and he is currently evaluating call coaching software to help analyze the effectiveness of coaching calls. [05.22] Paul shares his top three Sales AI do’s and don’ts – starting with don’ts – don’t replace your people with AI, it’s not ready for that just yet, don’t put AI at the forefront of everything you want to do, really evaluate that problem and how you want to solve it and don’t do AI first if you actually have some fundamental things in your sales team you need to fix. Do’s – do bring in AI if you are trying to scale rapidly and have already got some good traction and fundamentals in place, do focus AI on areas of your business where you think there is a good set of data to analyze and do pay attention to what is going on in this space. [08.20] Paul shares his favourite AI Sales Success story – an example of how a mid sized company utilised Nudge to help them keep on top of Social Selling leads and research, something that they knew that should be doing but couldn’t find the time to do. The software highlighted opportunities they would have missed because of focusing elsewhere and within the first six months they were able to close a $1million worth of new business. [09.41] As the CEO, Paul pitches Nudge – Paul describes Nudge as a relationship intelligence platform, which tracks and understands the strength of relationships within your company and network and then identify opportunities for sales for warm introductions and also help through the deal process by identifying key people who you are not building relationships with that you need to in order to get the deal done. Consider Nudge as a top layer on your CRM system. [11.50] Paul shares additional information when considering AI – Don’t just jump on the AI bandwagon. There is a difference between companies that have solutions using algorithms compared to companies that use solutions using AI, and it’s ok if you don’t need AI, there are some things that just need some Math. AI is the process where you need to incorporate some human elements that require an ongoing iteration of testing and evaluating, just because a company says that they are doing AI and that you should adopt it doesn’t mean you need to, you may just need some Math and algorithm that works. Finding ways to connect more people who can help each other. Love music, used to sing and play guitar, need to get back to that. Avid eater, drinker, skier, tennis player, and criticizer of my son’s hockey game.